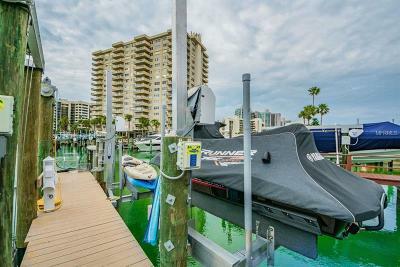 BOATER'S PARADISE!! This home has a dock with a lift that can hold up to 32000 lb boat that was added 2018. There is another dock with 2 lifts for jet skis or kayaks. 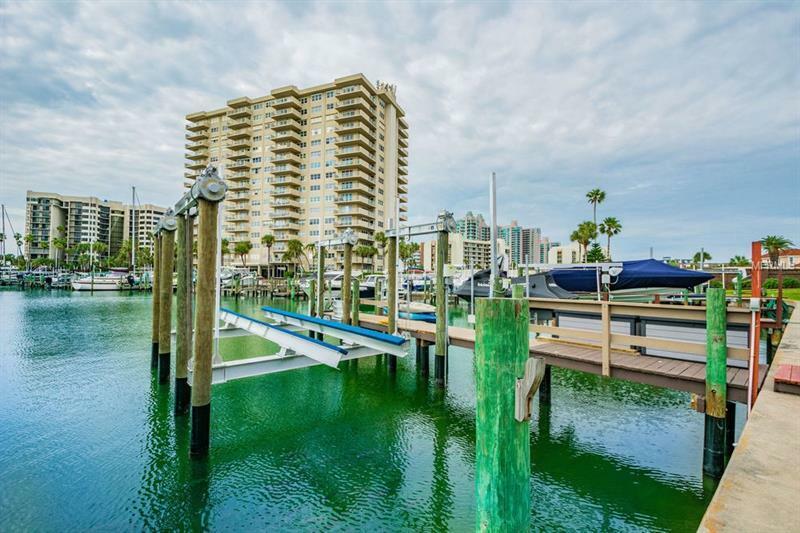 Easy access to the Gulf of Mexico with no fixed bridges is great for boater/fisherman or someone that enjoys Florida living. 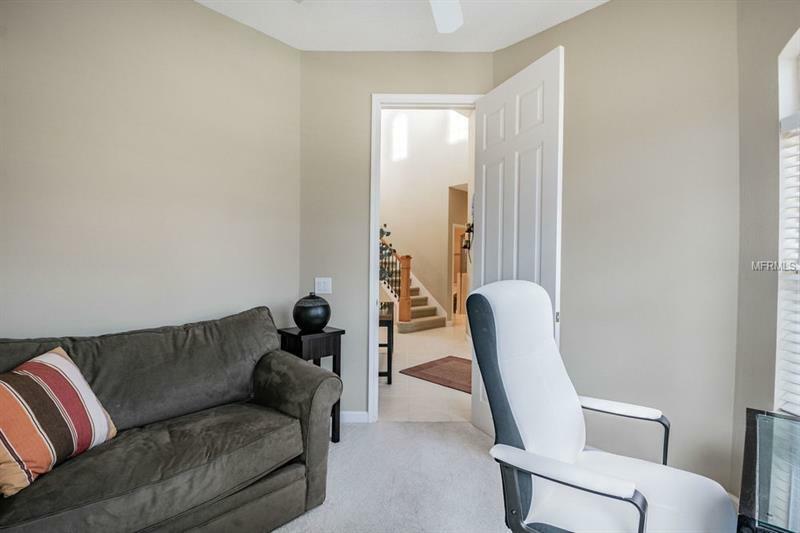 This home is on 11 ft elevation which will keep your insurance costs low. 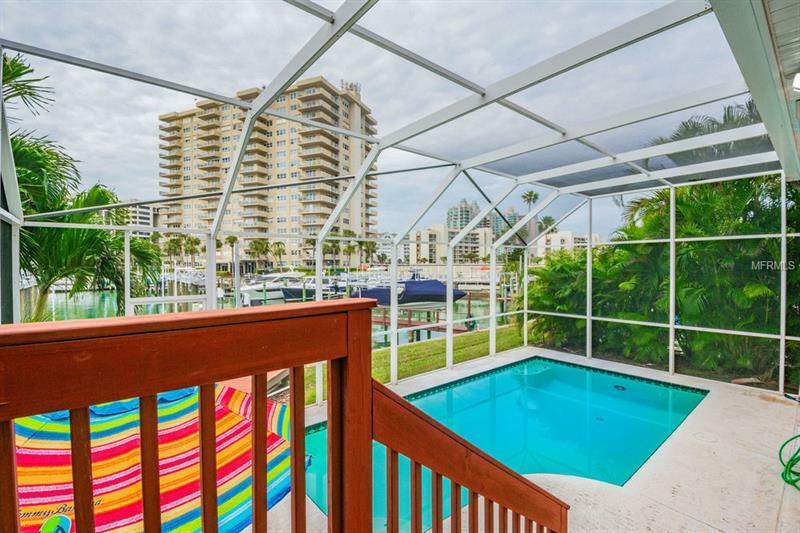 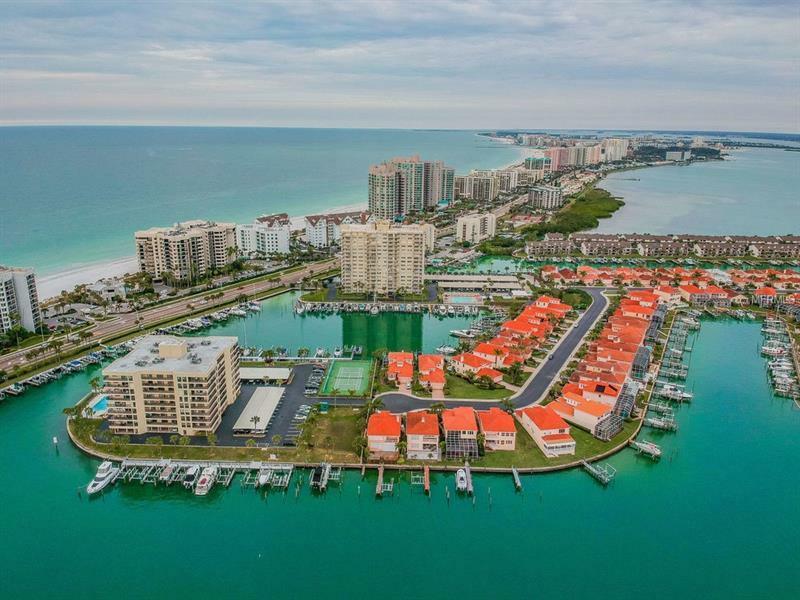 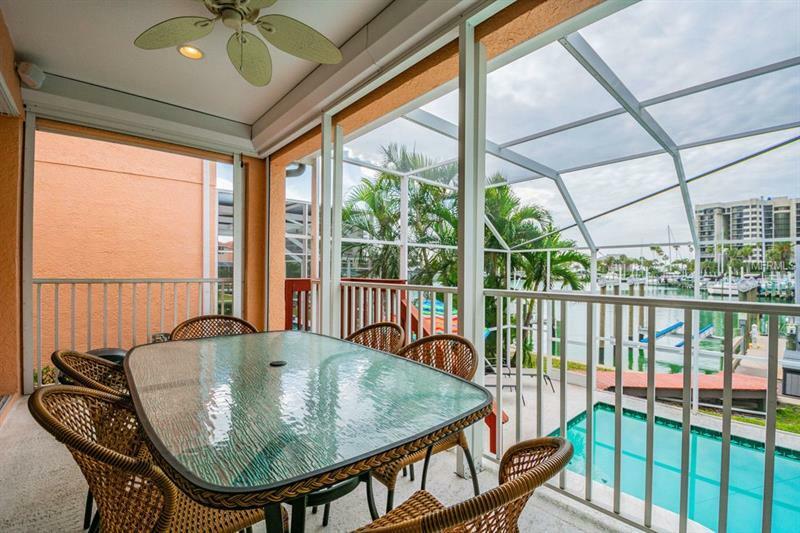 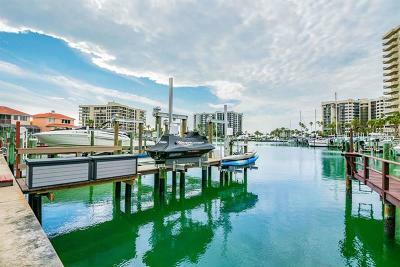 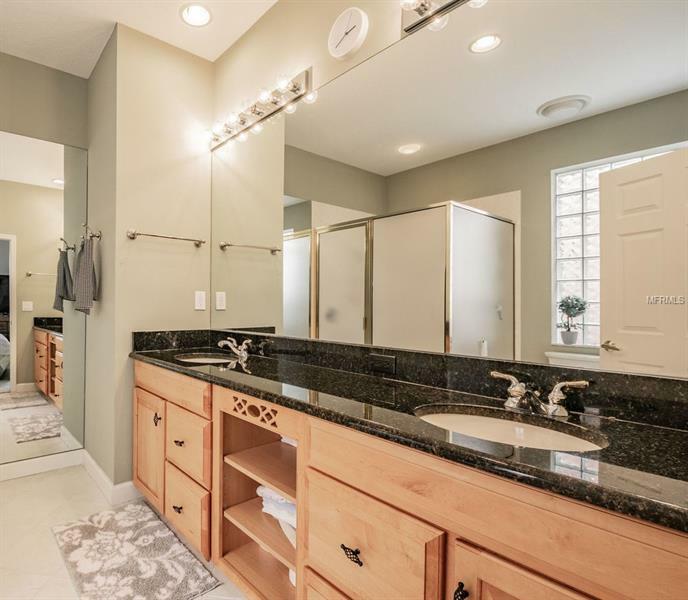 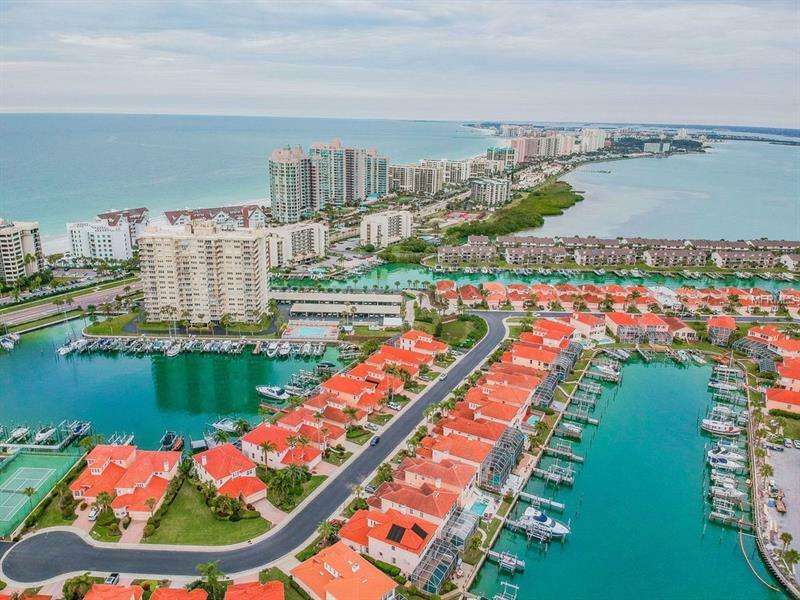 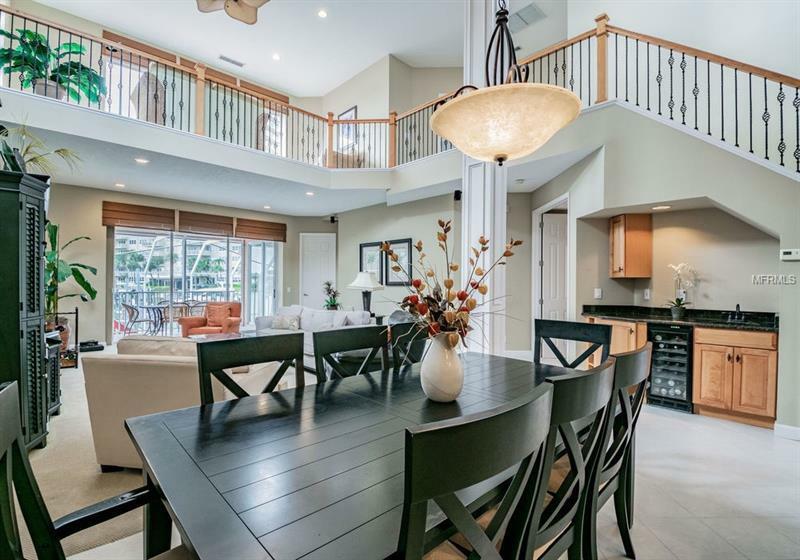 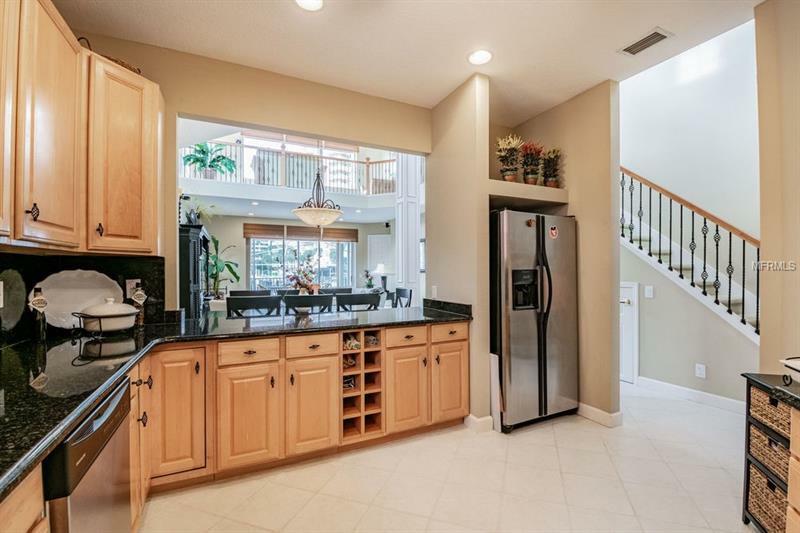 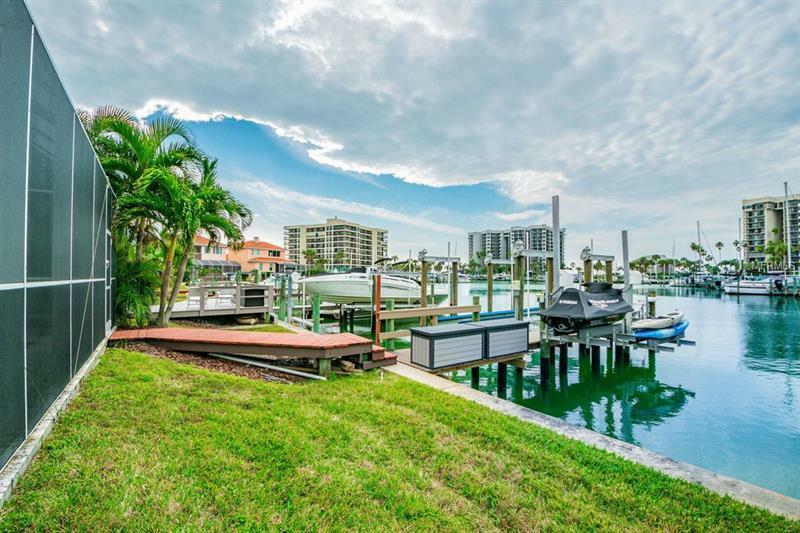 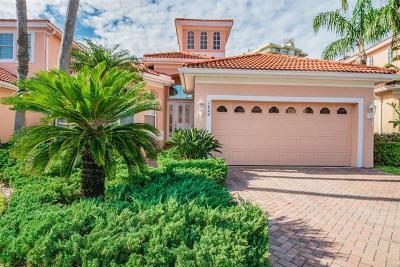 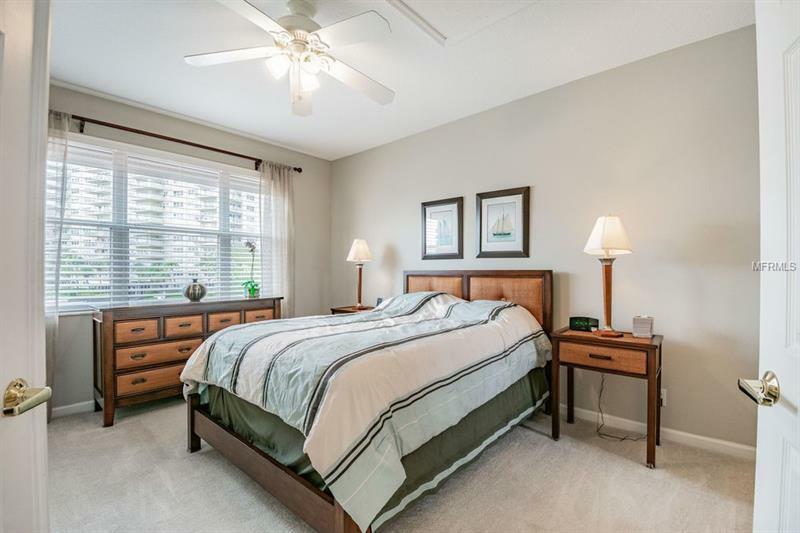 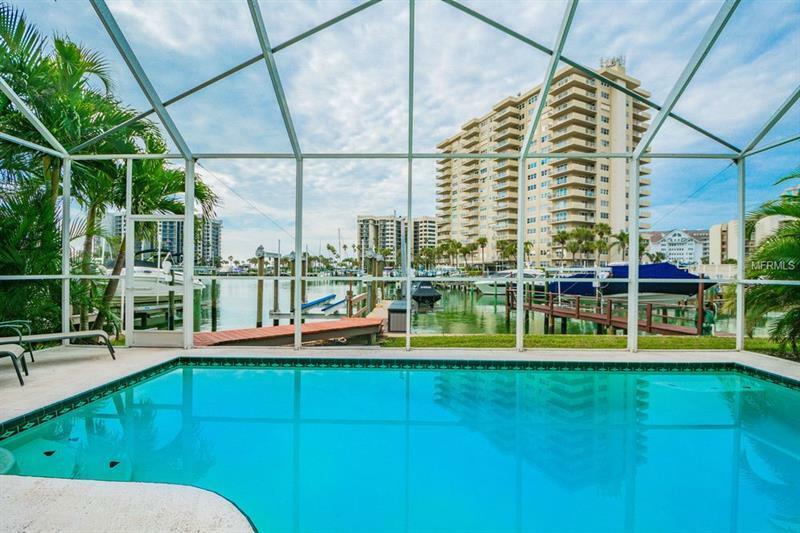 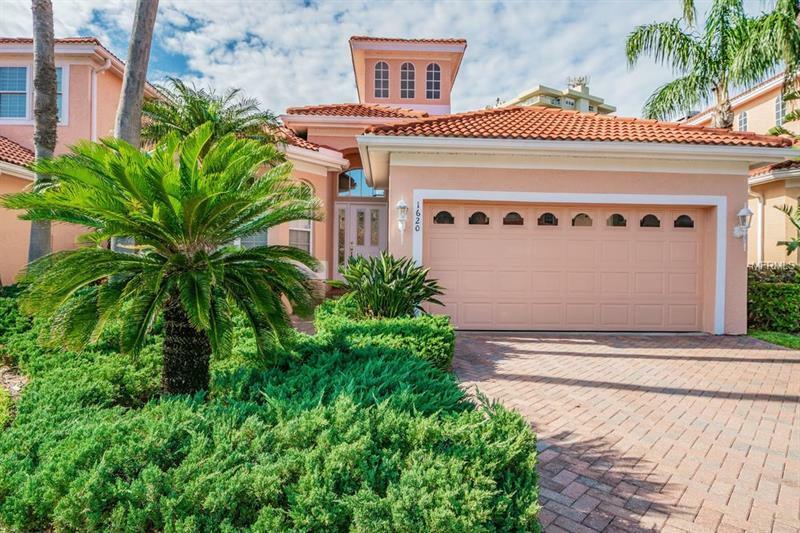 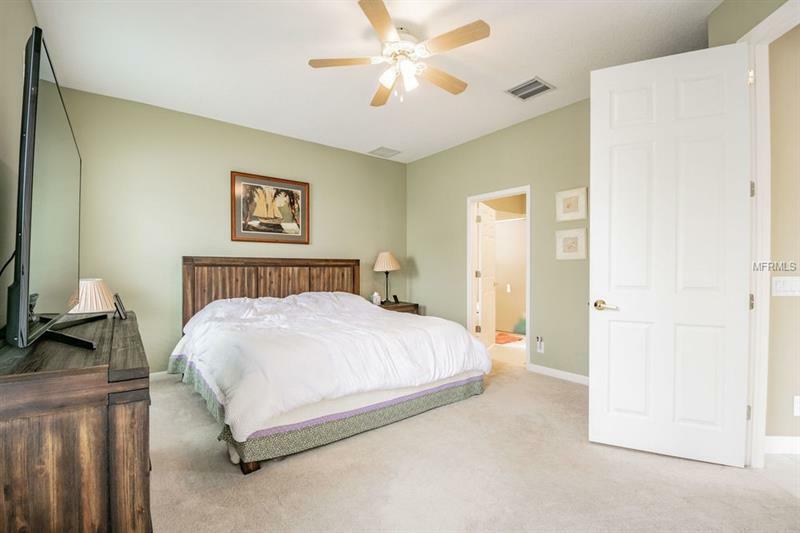 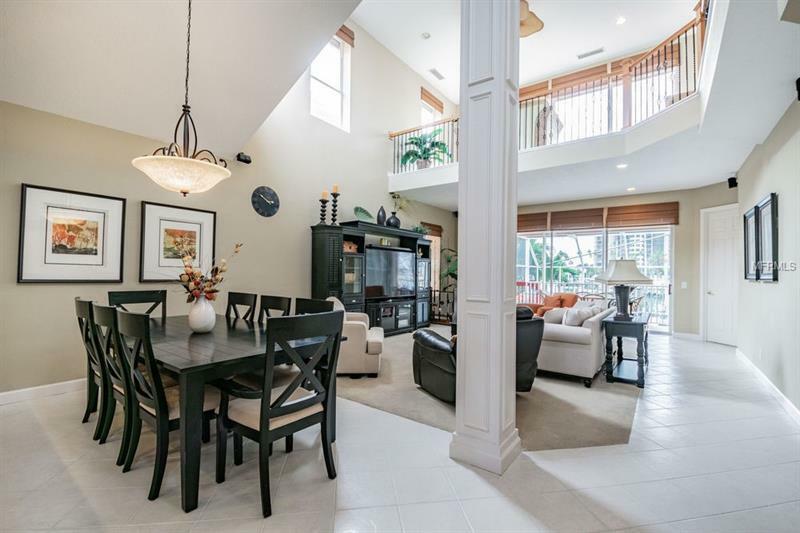 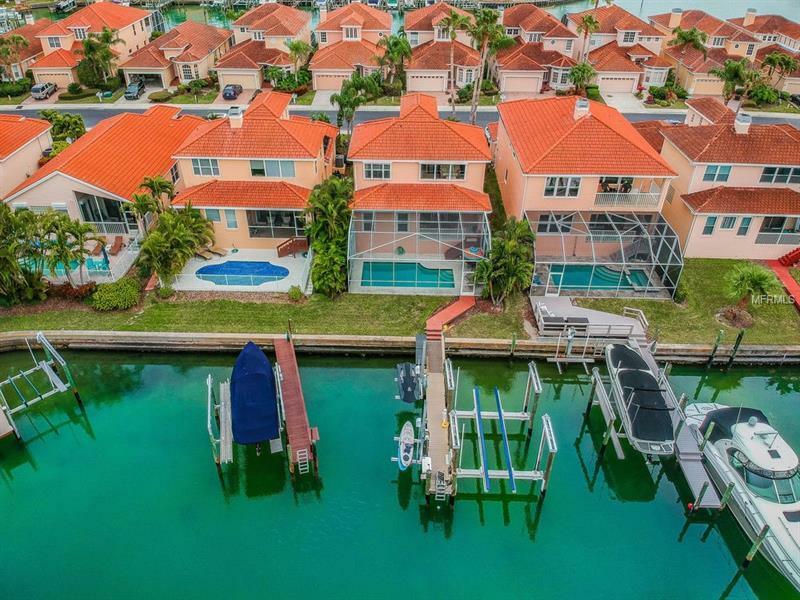 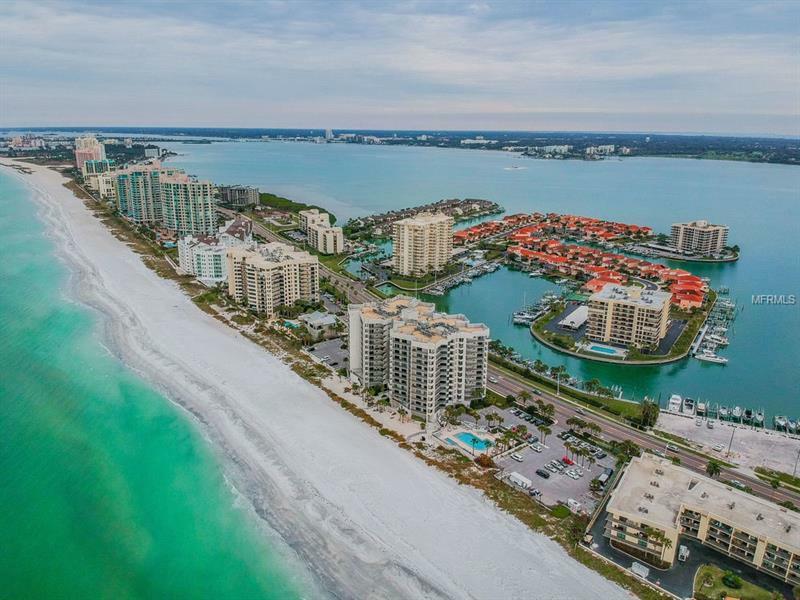 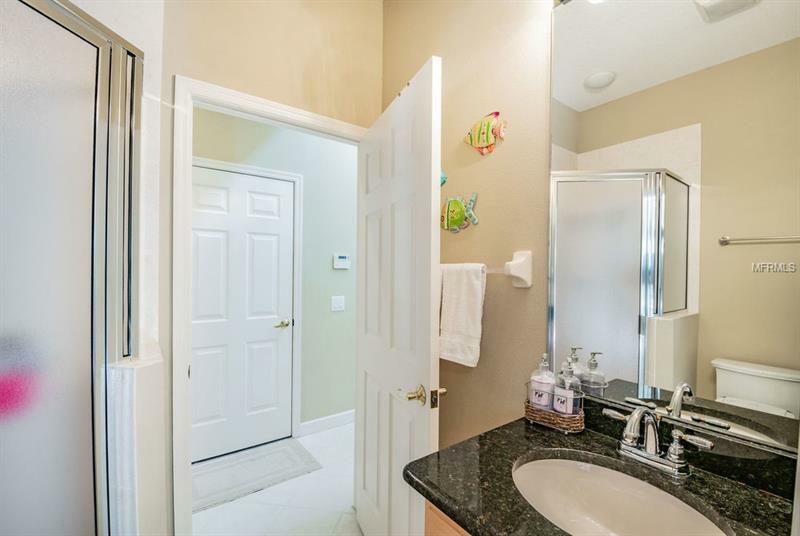 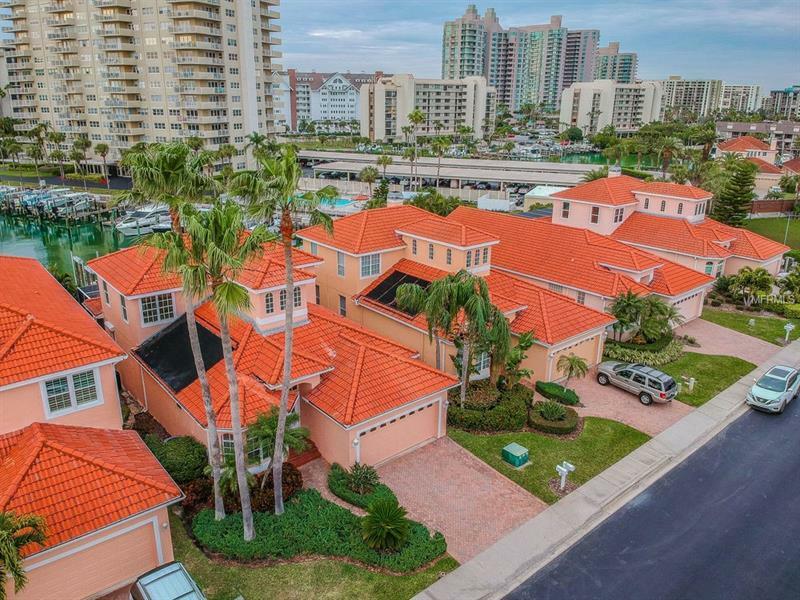 This home is the ONLYÂ single family Gated waterfront community on Sand Key. 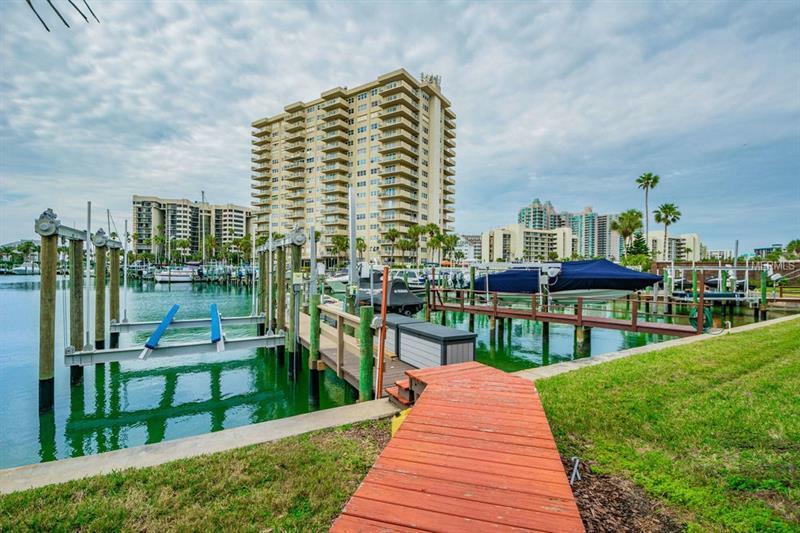 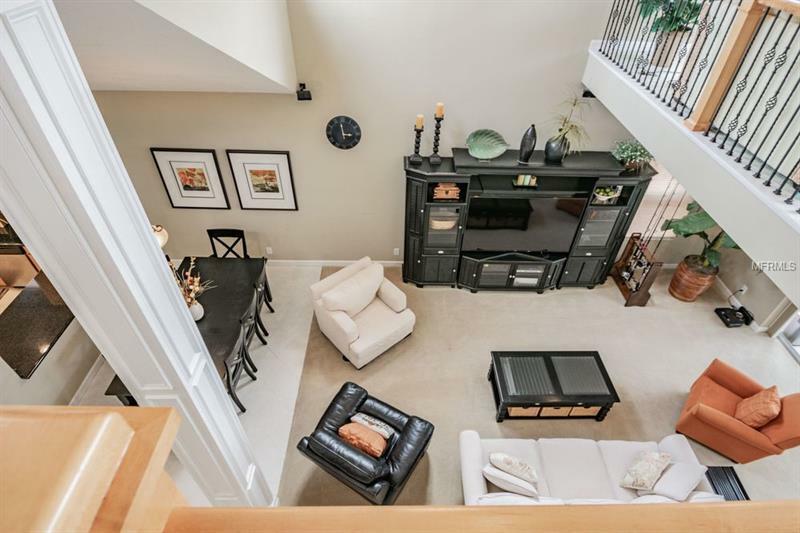 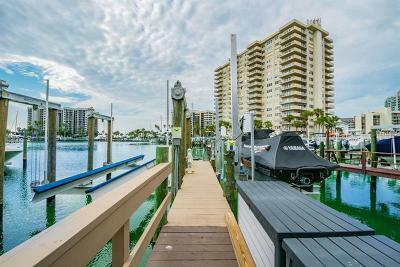 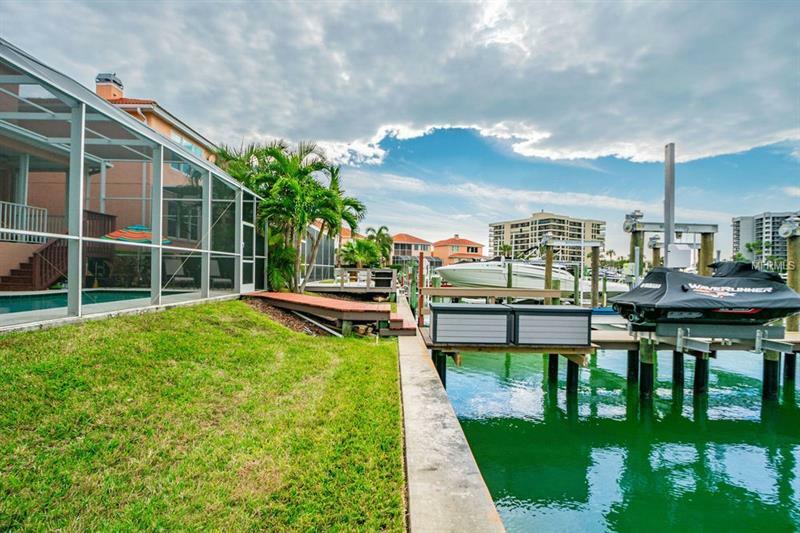 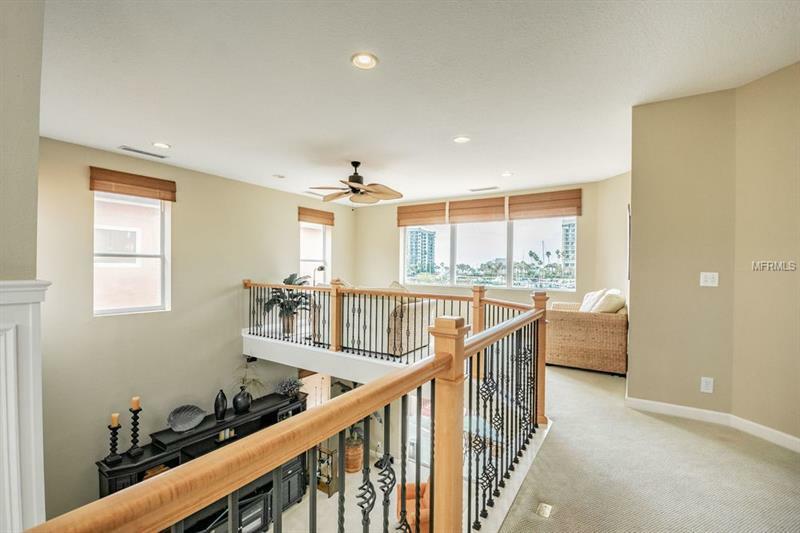 You can enjoy this gorgeous waterfront home docking your boat and relax in this immaculate 3 bedrooms 3 baths office loft a private enclosed pool and walking distance to the beach. 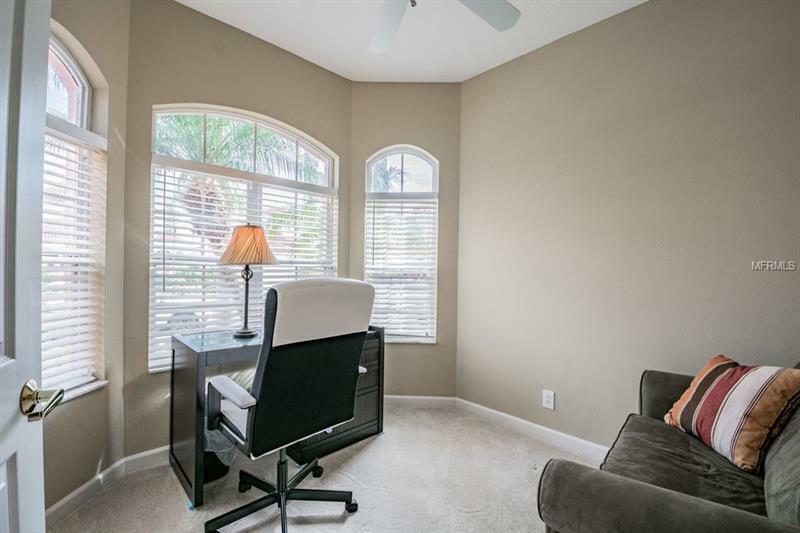 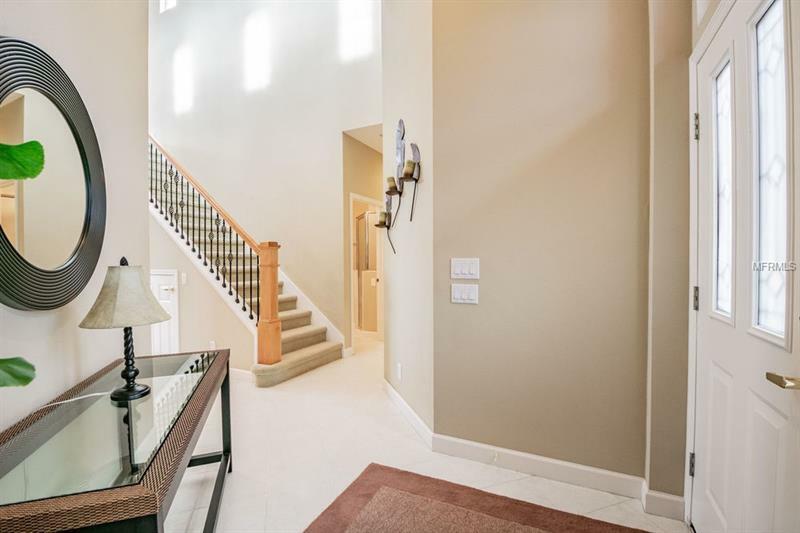 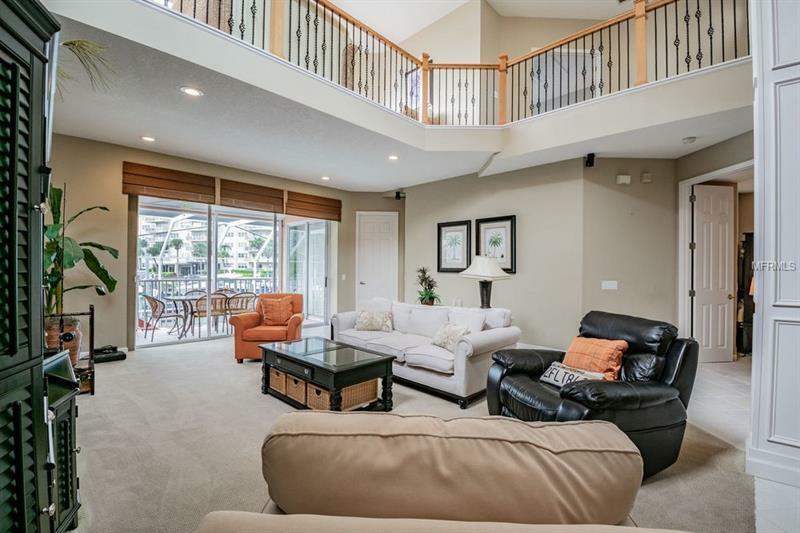 Inside you can enjoy high ceilings open floor plan windows and sliding doors that bring in natural lights. 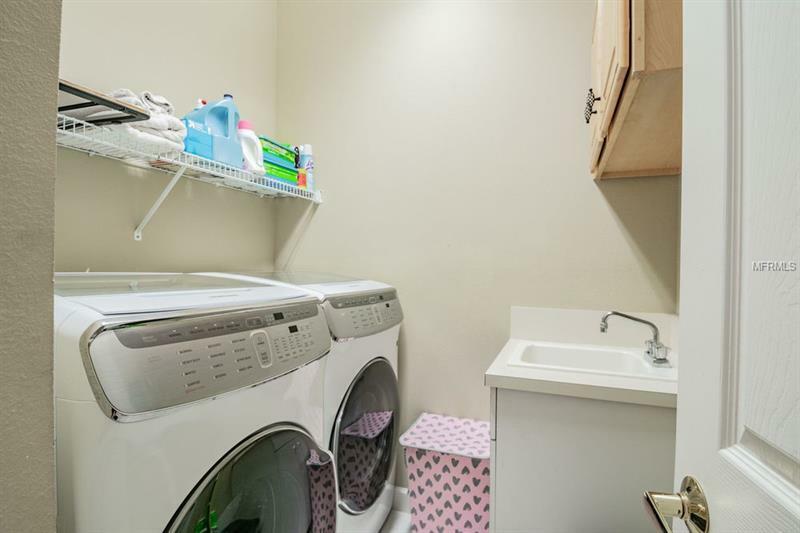 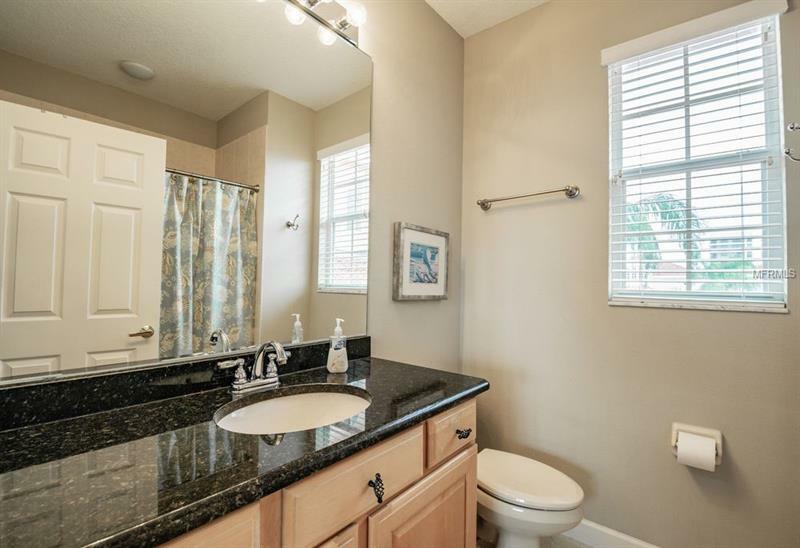 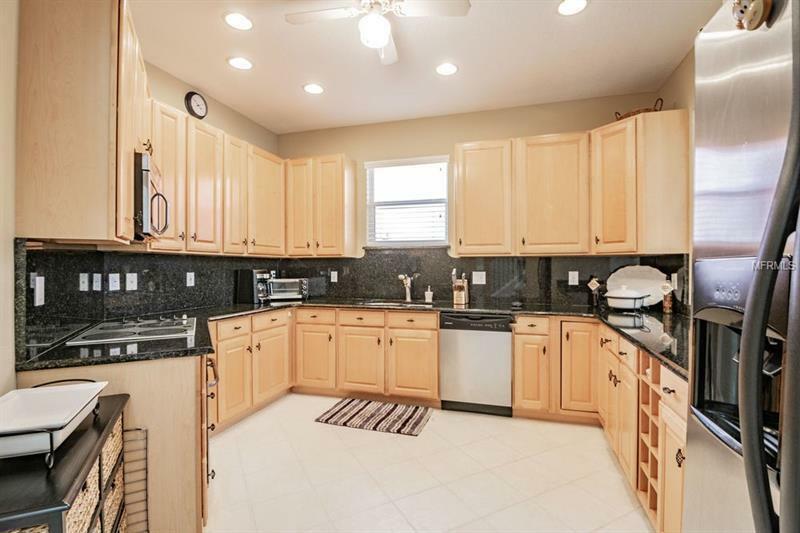 The kitchen offers solid wood cabinetry stainless steel appliances and granite countertops. 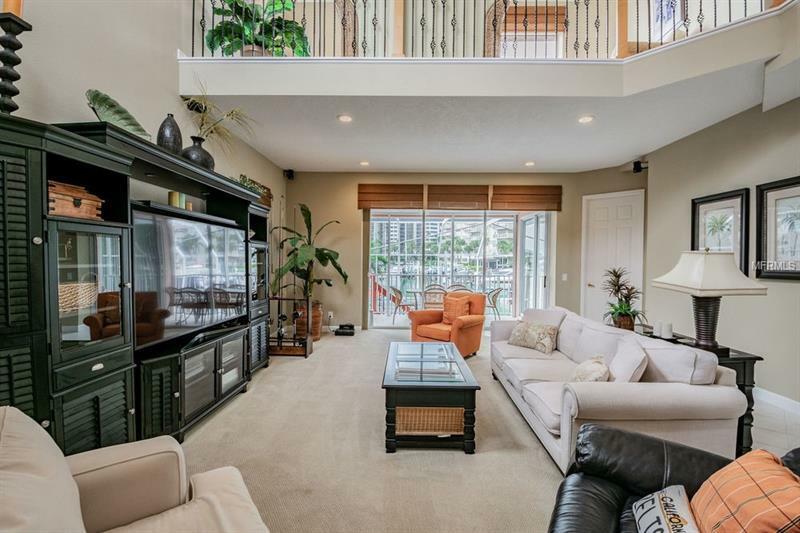 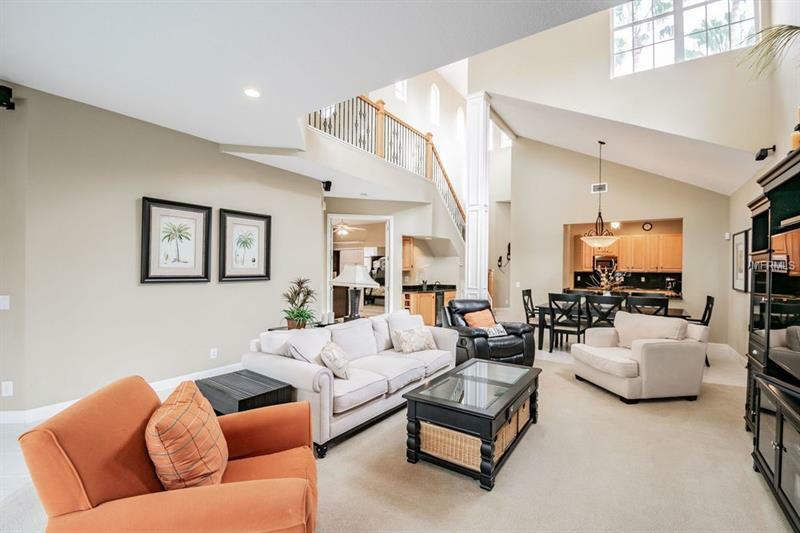 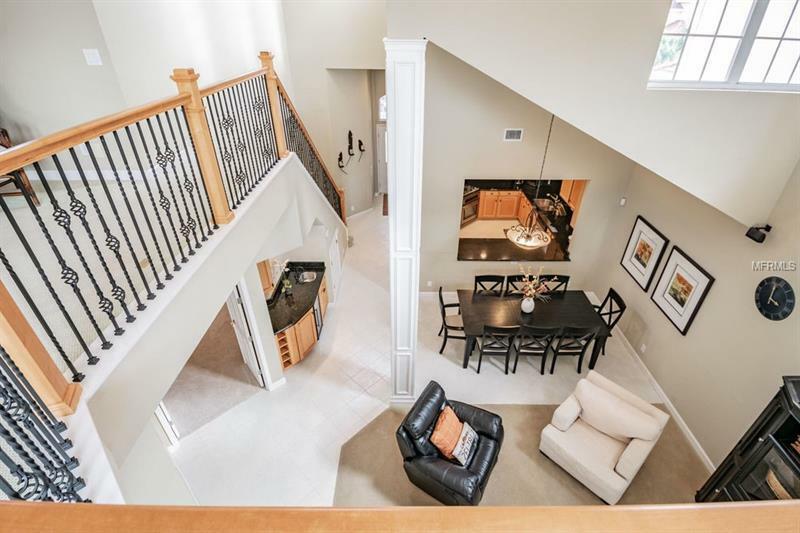 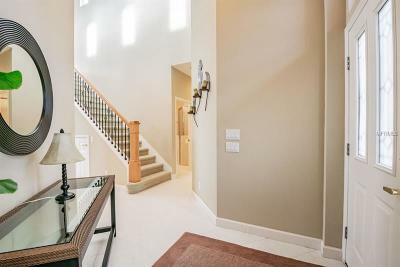 In the great room you will enjoy the openness and a wet bar with wine cooler. 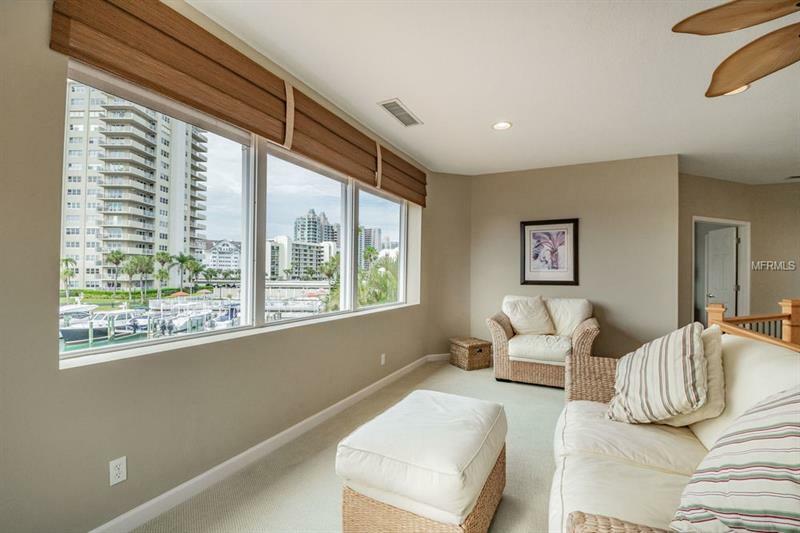 The first floor Master Suite offers a water view walk-in closet double vanities and sliding doors that walk out to the balcony. 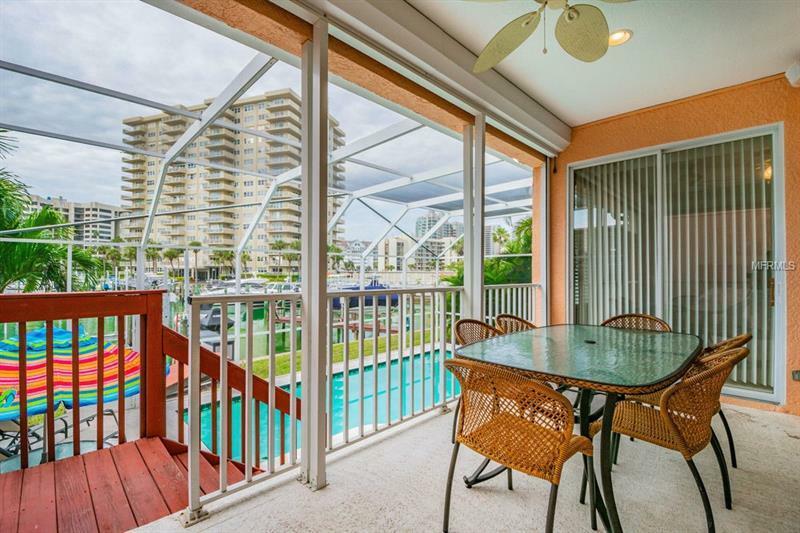 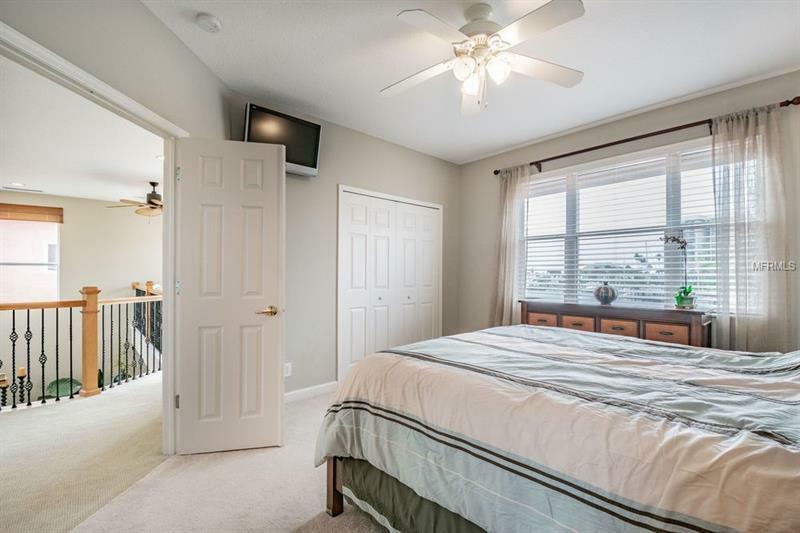 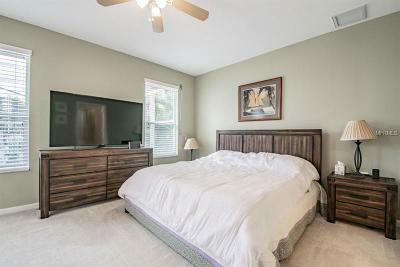 You can find Intracoastal and Gulf of Mexico water views and the sunsets in the upstairs room and loft. 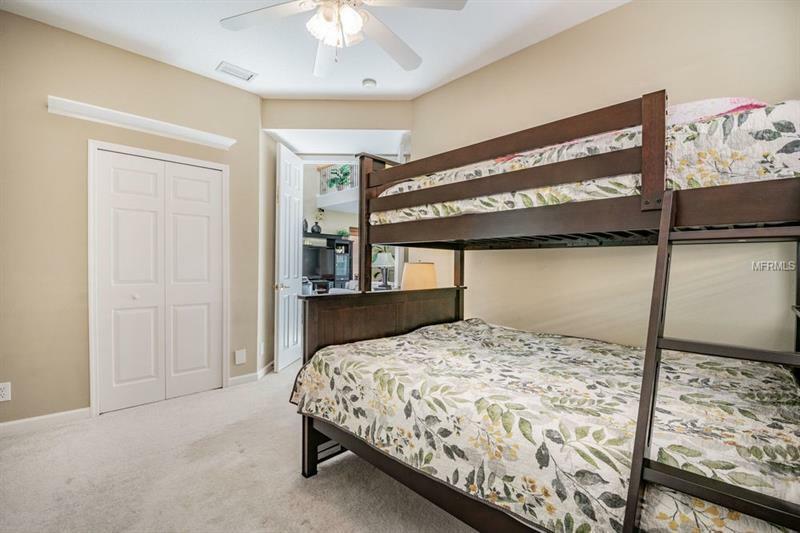 The double split plan gives the bedrooms its own privacy. 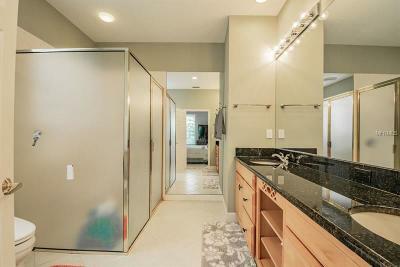 You can conveniently find a bathroom attached to every room. 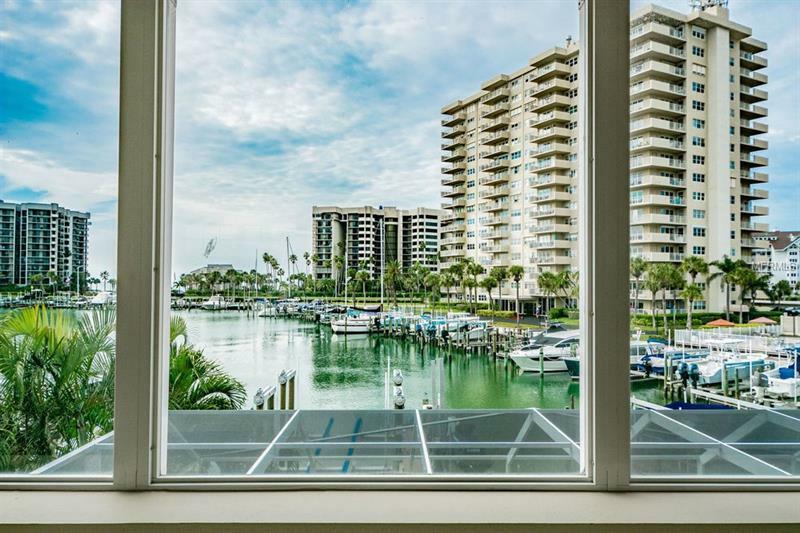 The windows and sliding doors are protected with hurricane shutters. 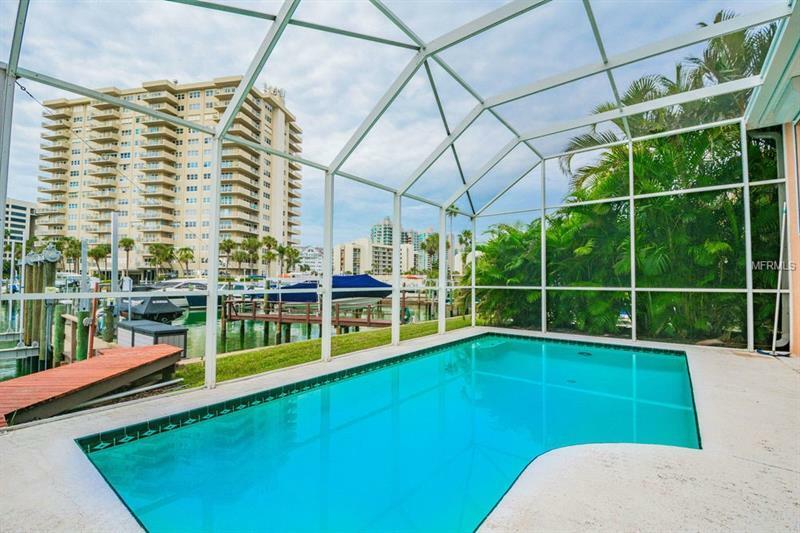 You can also enjoy the pool during winter and summer with a heat pump that was added in 2018 to heat and cool the pool. 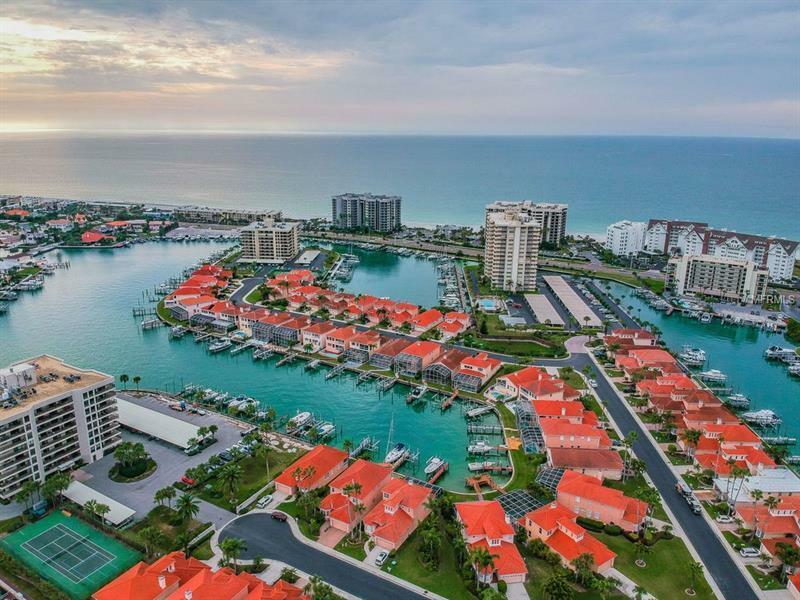 Don't forget to click on aerial video Tour1 & 360 view on Tour2! 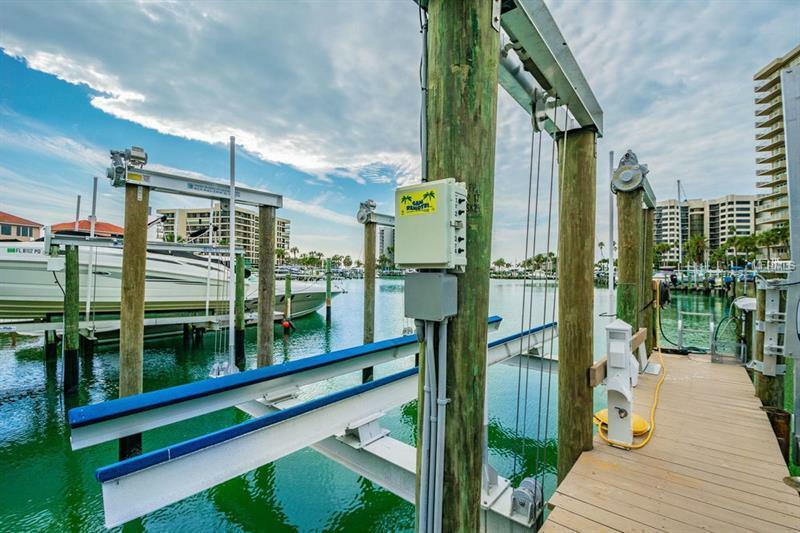 Additional Water Information: Boat lift added 2/1/18 for up to 32000lb boat.